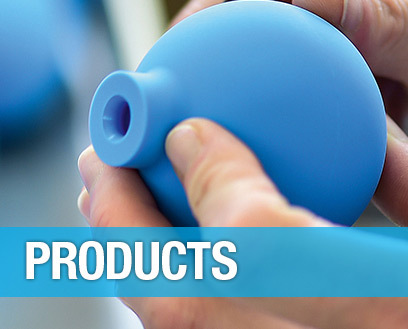 Uniflow® Deflation Pumps are used to remove air from a device. 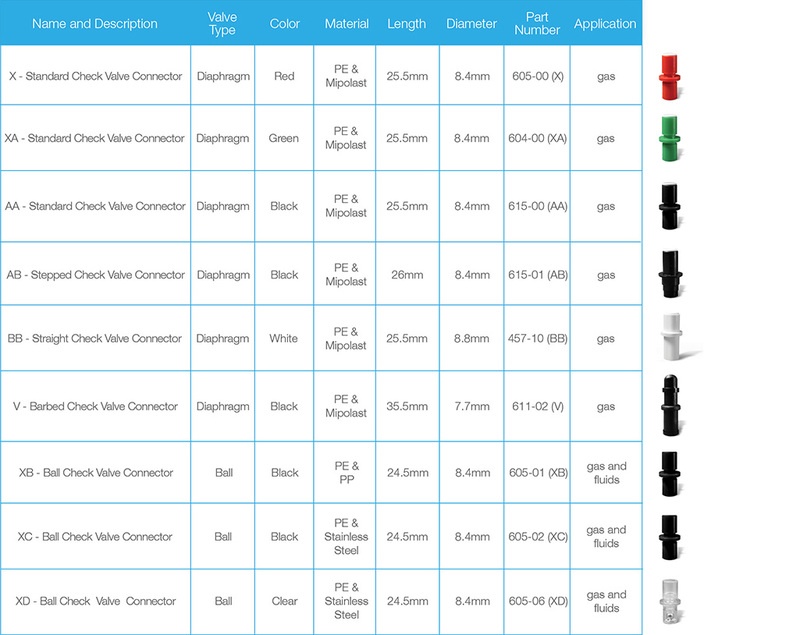 These basic pumps can be combined with other Albert components, such as connectors or tubing, to accommodate your needs. They contain one check valve in the bottom of the pump. Our pumps are made from medical-grade Sarolit™ and are not made with BPA, phthalates or latex. Our pumps are also made in one piece using the rotational molding process so that there are no bonded seams, which could fail during service or foster bacterial buildup. • B-Series Hand Pumps have a compact shape with one extended end. • K-Series Hand Pumps have a compact shape with two uniform extended ends. • J-Series Hand Pumps have a long and slim shape with two uniform extended ends. • A-Series Hand Pumps have a flat side bottom. Upon request, we can create pumps without check valves, using custom hole sizes, or printed with company logos. See product specification for a complete list of Uniflow® Deflation Pumps.